In full-size vans, there's the commercial-use work van (no seats and usually no rear windows) and there's the passenger hauler (rear seats and windows). 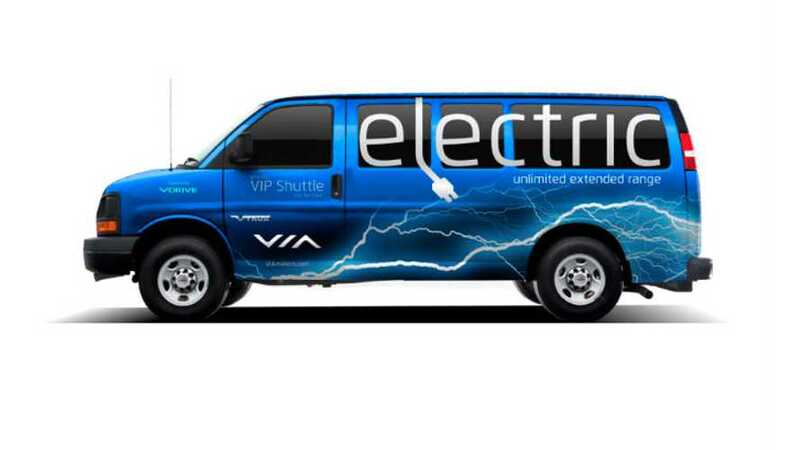 Often called a shuttle van, VIA Motors recently debuted this version in production trim at the Edison Electric Institute Annual Conference in Las Vegas, Nevada. Some of these VIA shuttle vans have been in service for 7 months now, but VIA is just now accepting orders for the EREV passenger hauler. According to VIA, the shuttle versions feature upgrading seating and can be equipped with several options not available on the work van. "These vans, by the way, are demonstrating the ideal usage scenario VIA envisions which is all-electric. How does a 24-kwh VIA van drive over 100 miles a day, round the clock on pure electricity?" 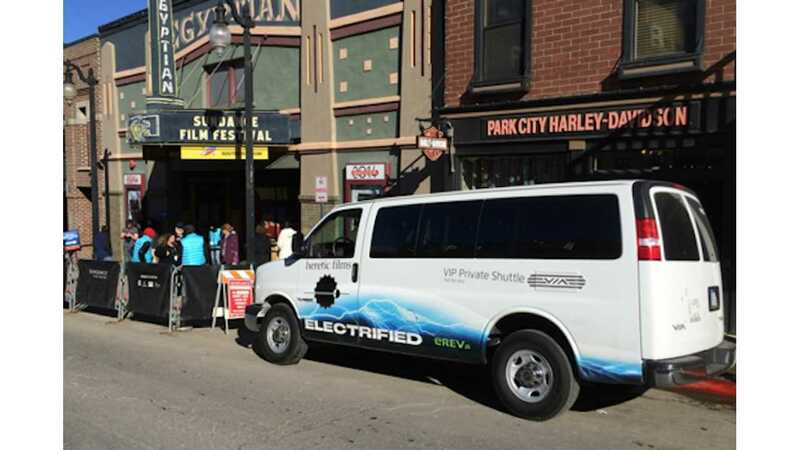 "VIA has contracted with Clipper Creek which provides a strategically located 240-volt, 14.4-amp level 2 charger that replenishes the shuttle buses in between trips." The shuttle vans remain running while charging (aka waiting for the next group of passenger to board) so that the A/C can be kept on full blast to not put riders in discomfort. Per VIA, there are orders booked for the shuttle van, mostly from airports and hotels. The base MSRP is $79,000. Options of course add extra, but VIA says that 6 states offer incentives for this van, which start at $10,500 and go up from there. Additionally, it qualifies for the full $7,500 federal tax credit. *Editor's Note: This marks post # 6,000 for InsideEVs. Sincerest thanks to all of our readers, some of whom have been here since the inception of this site in April 2012.